Momentum Highland WiFi special deal bundle for B&B’s or Guest Wifi is a pre-configured Guest Wi-Fi Enhanced Range Access Point that easily plugs into your router to provide a private guest WiFi network which is then completely secure and auditable. In other words, no one can access your router or your B&B’s local computers or network (which is sadly probably currently happening). 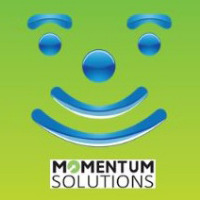 MOMENTUM Solutions - WiFi Division, Service Centre, Dingwall, nr Inverness, Highland.